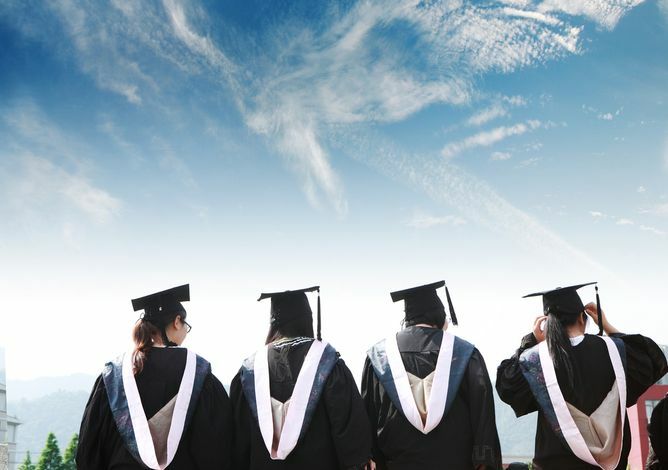 Changes in the job market and the demand for better qualified workers mean that large numbers of people are still choosing higher education as a post-18 option, with applicants at record levels in recent years despite the rise in university tuition fees. A higher education qualification will generally open up wider job opportunities, and the possibility of more interesting work and greater earnings in the future. Choices are vocational qualifications, such as Higher National Certificates and Diplomas (HNCs and HNDs) which give you skills for a particular job or industry sector, and more general academic degrees which open up graduate opportunities. The Bishop's Stortford High School has an excellent record in helping its students to attain their well-deserved places in Higher Education despite competition for places and entrance requirements being higher now than ever before. Our results are clearly of the high standard required and are supported by strong UCAS applications that we ensure are sent off early, leading to the vast majority of students holding at least one offer within two weeks of submission. This is incredibly motivating and reassuring, allowing students to focus on their studies with a tangible goal in sight. Most students go on to obtain places at their first choice. The total number of our former students currently at universities (including Oxford, Cambridge and other elite institutions) is over four hundred and fifty and this September we had 3 successful Oxbridge applicants and 5 students starting Medicine degrees. The Sixth Form Management Team organises an extensive programme to help you choose your area of further study and it starts in Year 12 with a visiting speaker programme involving admissions tutors or past students talking about courses and undergraduate life; Departments provide university-style lectures in their subject at degree level; Year 13 share their experience of choosing courses and universities with Year 12; students are introduced to a software tool, Unifrog, to help with course selection; all of Year 12 are taken to a Higher Education Convention; there is a structured programme of education on the different components of university applications. Staff also provide individual counselling, especially important when taking the first steps in deciding what you want to study and where; the initial choice is so wide that it can be bewildering. They give you expert advice in filling in your UCAS form, particularly the personal statement, where you have to market your strengths. Those of you who want to apply to Oxford and Cambridge and highly competitive courses such as Medicine are, of course, encouraged and helped in your application. The process culminates in Results Day in August at the end of your Upper Sixth where the Sixth Form Management Team and other members of staff will be in school to offer congratulations to most, advice to some, coffee to all, and, where necessary, to make telephone calls on your behalf to help you to secure your place.